These are new condo listings that are represented by our Highrises.com partner agents. There are currently 24 blog entries related to this category. Tuesday, March 3rd, 2015 at 5:02pm. This is the perfect time to list your home! With many folks waiting until Spring, you can cut down on the competition by listing now. You will have a solid pool of serious buyers who are motivated by interest rates that are still at an all time low. Thursday, July 17th, 2014 at 10:55am. The Shoreham Tower is a contemporary high rise in the Norma Triangle in West Hollywood. The Shoreham Towers were built in 1963 and some of the past residents include David Lee Roth and Neil Sedaka. The Shoreham Tower has excellent amenities including an outdoor pool, private balconies, concierge service, a pool and spa surrounded by trees, a sundeck, outdoor BBQ area, fitness center, recreation room, visitors parking and 24-hour security. Located just a few blocks in between the iconic Sunset Stip and Santa Monica Blvd, there are plenty of places to shop, eat and enjoy a night out on the town. Tuesday, July 15th, 2014 at 3:42pm. Bayside at the Embarcadero is one of San Diego’s newest and most luxurious high-rise buildings. These luxury condos are located downtown in the Columbia neighborhood on the southeast corner of Pacific and Ash. As one of the tallest buildings in San Diego, this modern high-rise residential building has all the exceptional building amenities including: concierge, fitness center, outdoor pool, barbecue, recreation room, wine cellar, sauna and spa. This particular unit comes with two side by side parking spaces and a storage space. There is even guest parking for your friends and family to visit. Friday, July 11th, 2014 at 12:36pm. We have a new listing for a 2bd 2ba condo at Spring Condos in downtown Austin. This 16th floor unit is north east facing with spectacular views of downtown Austin. Inside this modern condo you will find Bosch appliances, beautiful maple hardwood floors, custom closets and hard tile in the bathrooms. 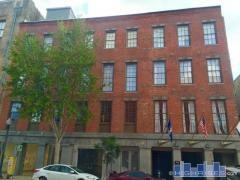 This desirable building is conveniently located in the Market District near all your needs. Only half a block away at Whole Foods, you can pick up dinner to cook (on your gas stove). If eating out is more your style, you can enjoy a delicious dinner at one of the many restaurants nearby. Enjoy one of the best neighborhoods with shopping, nightlife and galleries when living at Spring Condos.